Before I tell you how to get your guests tastefully soused at your holiday party, let me introduce myself: As half of the bar team at Jabberwocky (and with experience in Union 613’s secret behind-the-bookshelf bar two floors below), you’ll almost always be able to find me behind the stick; it’s something of a home away from home. At this time of year, thoughts of hosting loved ones at my proper abode are always enticing. Be it a family gathering, dinner with friends or a casual shindig, let me offer the following delicious and dead-easy warming punches to keep spirits bright. At work, we call this a ‘hug in a mug’. Reminiscent of a walk in the woods on a cool afternoon, this one definitely will warm you to the core. 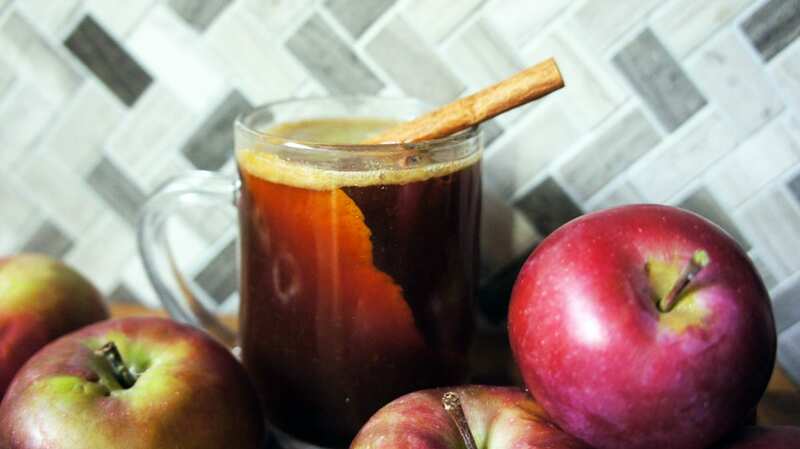 I find it much more satisfying to create my own spiced cider rather than buying it: you get to be as creative as you like, and it’s really no more difficult, heating up the cider pulls the flavours right out the spices in no time. Heat to a boil, let stand for 15 minutes, strain out spices and peel. Perfect on its own, leave the accoutrements to the side so that people can just enjoy warm non alcoholic cider — it’s still absolutely delicious! A small knob of butter or a few drops of walnut oil, optional. Build in a glass, top with mulled cider. I stole this recipe from my girlfriend. It’s absolutely delicious on it’s own, and I figured booze would only make it better. The tahini really shines through and gives the drink some great depth while the cereal amps up the chocolate, but more importantly your marshmallow game. Heat all on stovetop, whisking regularly. Dark rum, whisky, or even an aged tequila will work wonderfully. Per cup of bourbon used, crush up ¼ cup of cereal, reserving the marshmallows. Add together, let sit for an hour before straining through a coffee filter. 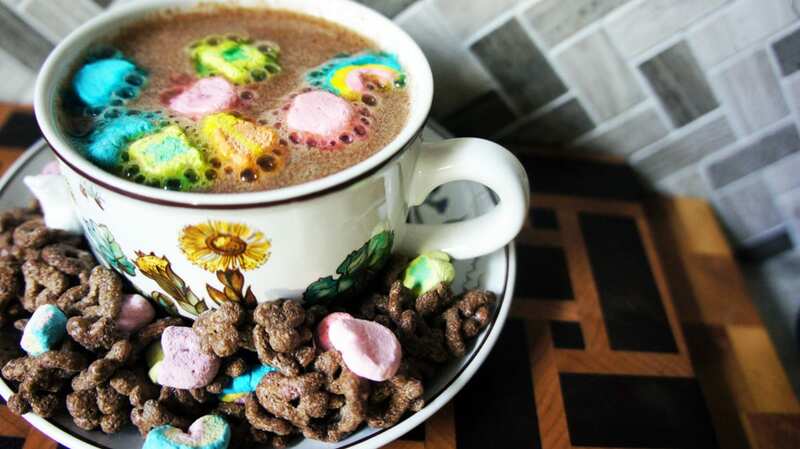 Top your boozy Hot Chocolate with magical marshmallows! I tweaked a classic Dark & Stormy (dark rum and ginger beer) to make a warm, flu-fighter of a drink. This is a perfect nitecap, but also great for a mellow hangout. Herbal, refreshing and spicy. 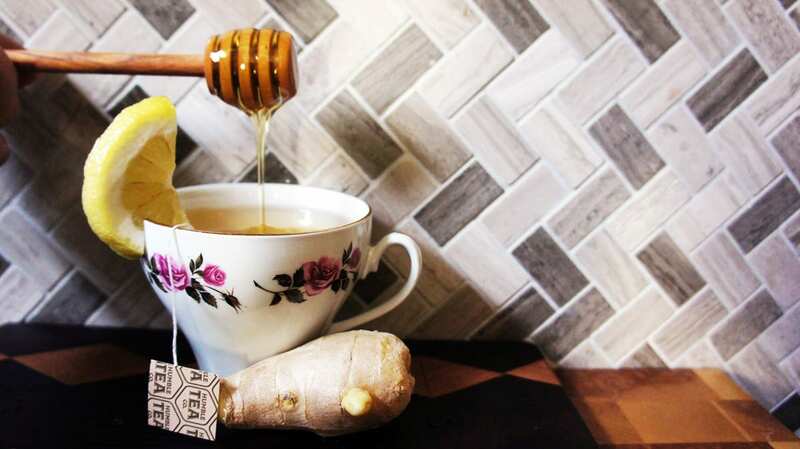 Muddle lemon and ginger with your honey spoon, toss in a tea bag and top with hot water. A cold weather classic … the smell of mulled wine alone can transport you to European Christmas markets (Glühwein anyone?). It’s also a great way to use up wine that’s been open on the counter for a few days. 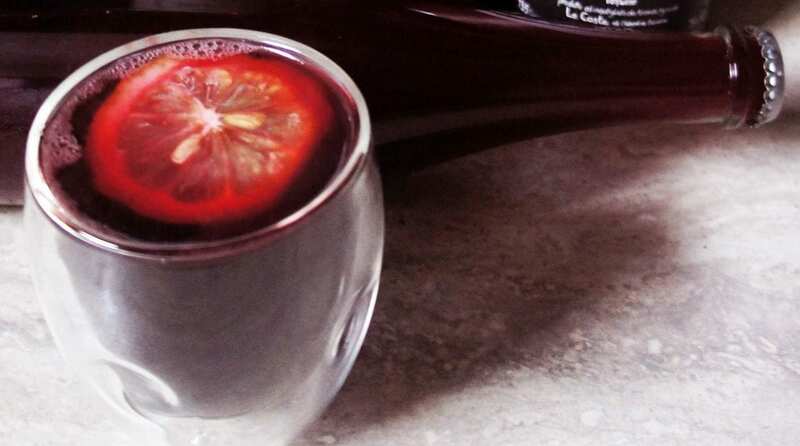 Think of this as something of a winter sangria: warming baking spices, citrus, and red wine come together in this easy-to-make drink. This can be scaled up or down with ease and is a great way to use up wine that’s been open on the counter for a few days. Put all in a pot and bring to a low simmer. Let spices steep for 10 minutes before removing. Leave on the stove at a warming temperature, throw in a ladle and leave some mugs to the side.